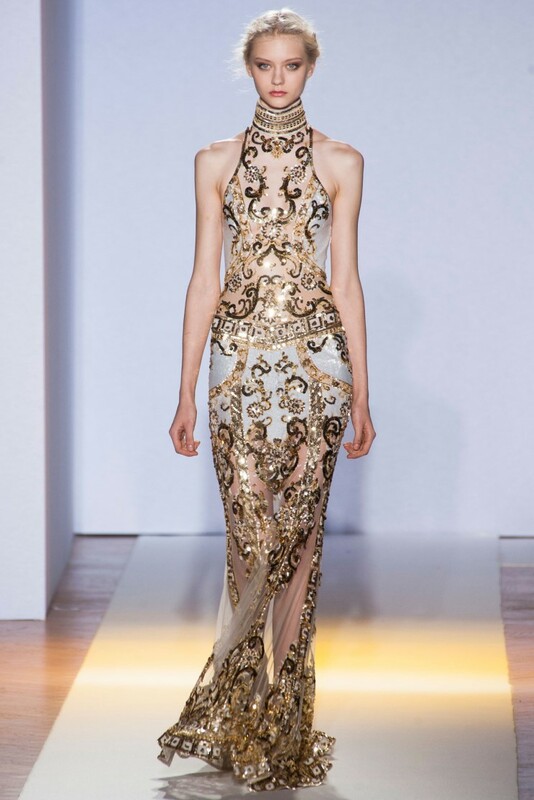 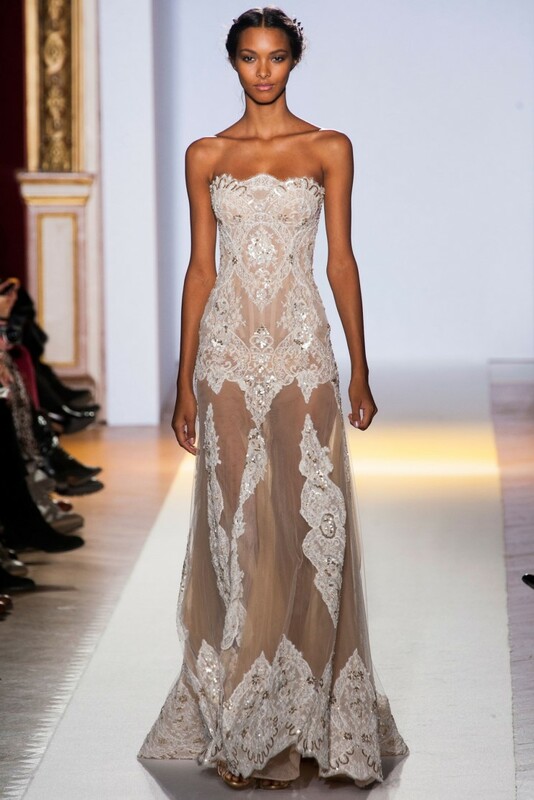 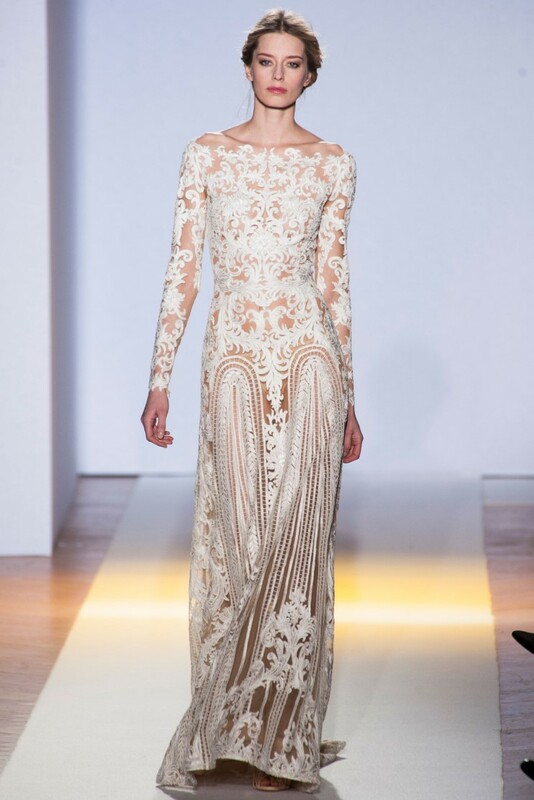 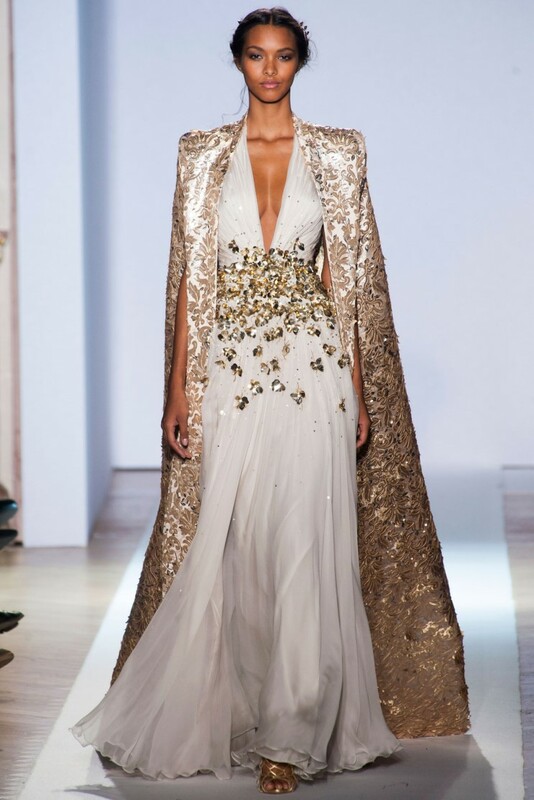 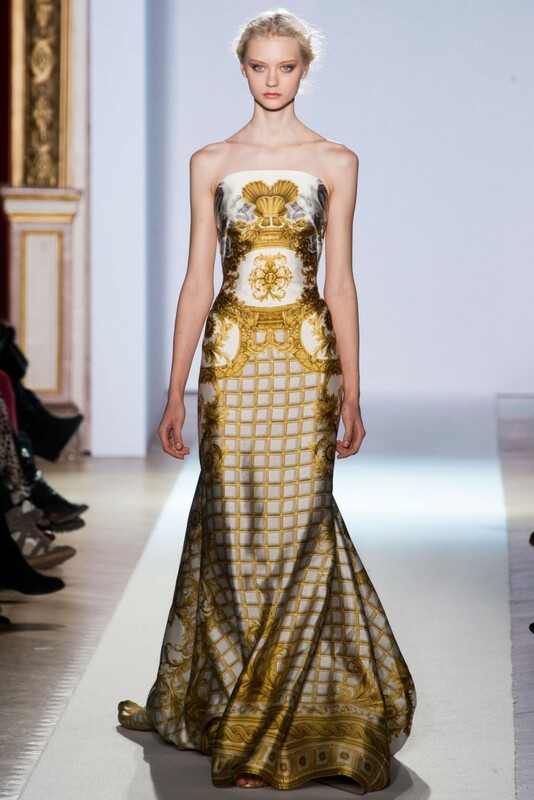 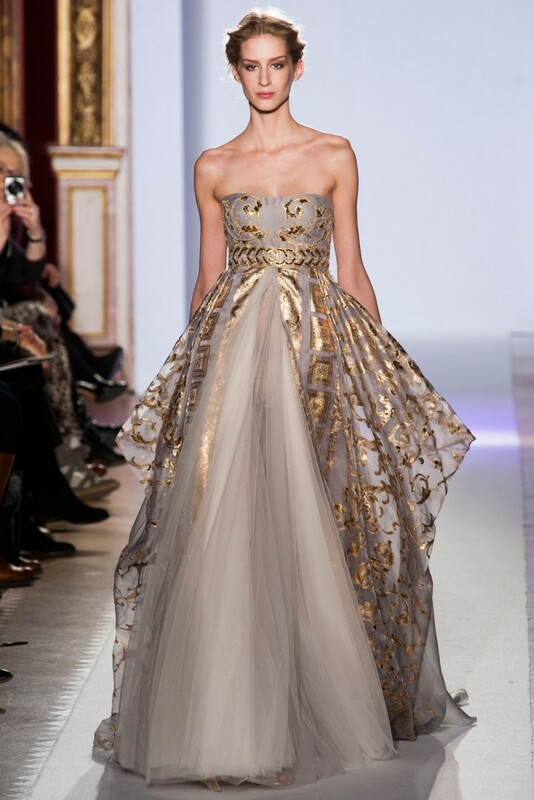 Lebanese designer Zuhair Murad’s Spring/Summer 2013 Paris collection, titled “Golden Age”. 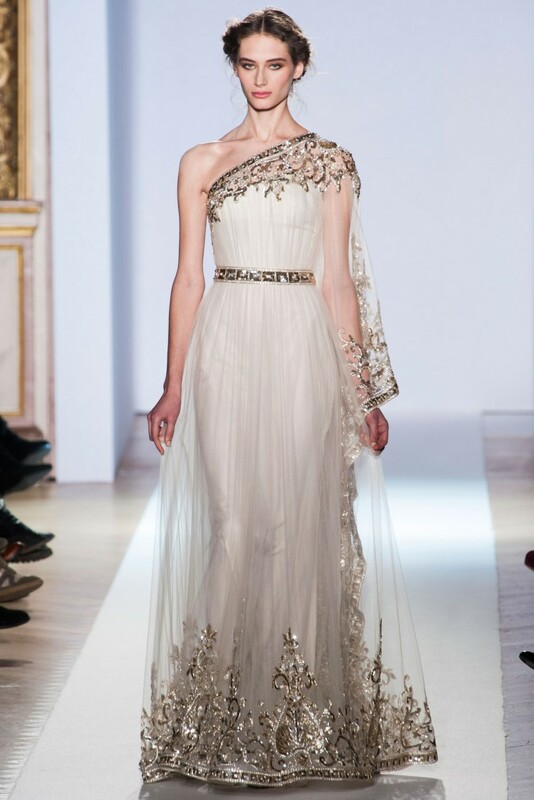 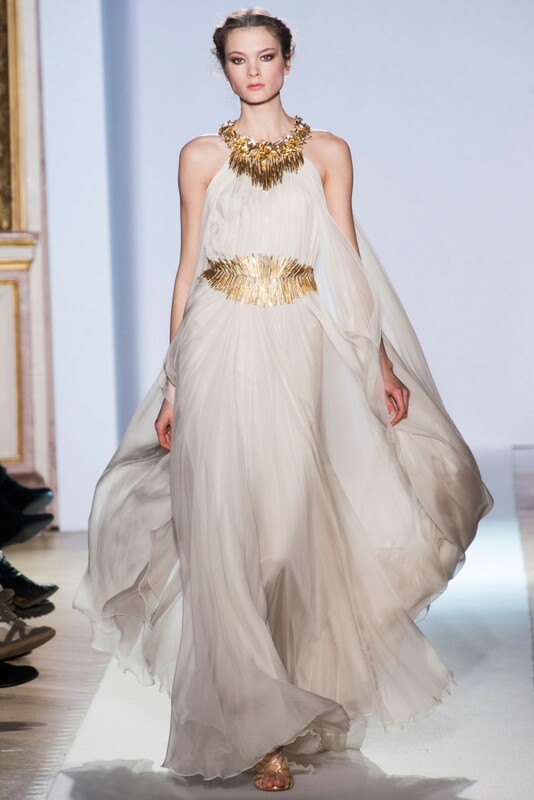 This is a notable example of timeless femininity, interweaving Hellenistic era and Baroque overtones with today’s haute couture. 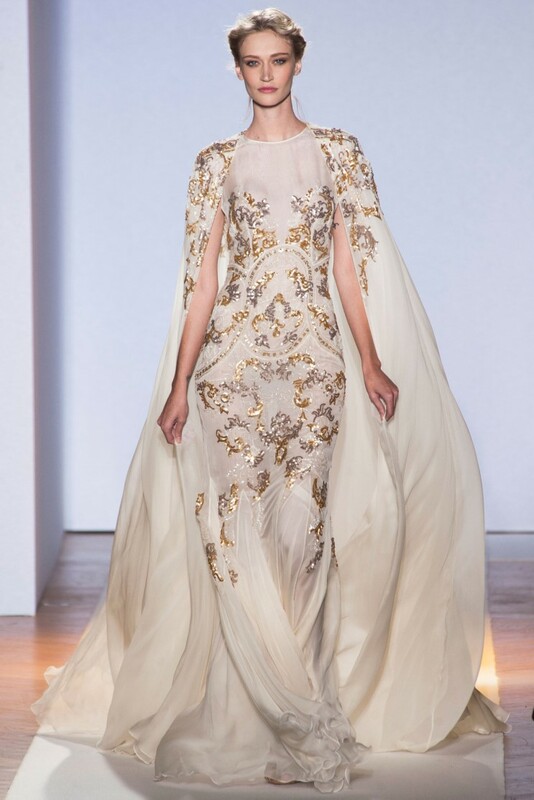 Gold and white colors, embroideries see-through fabrics revealing woman’s skin like tattoos or framed masterpieces, bodices, capes, sparkles, feathers, tulle, silk—presenting a modern woman as a goddess. 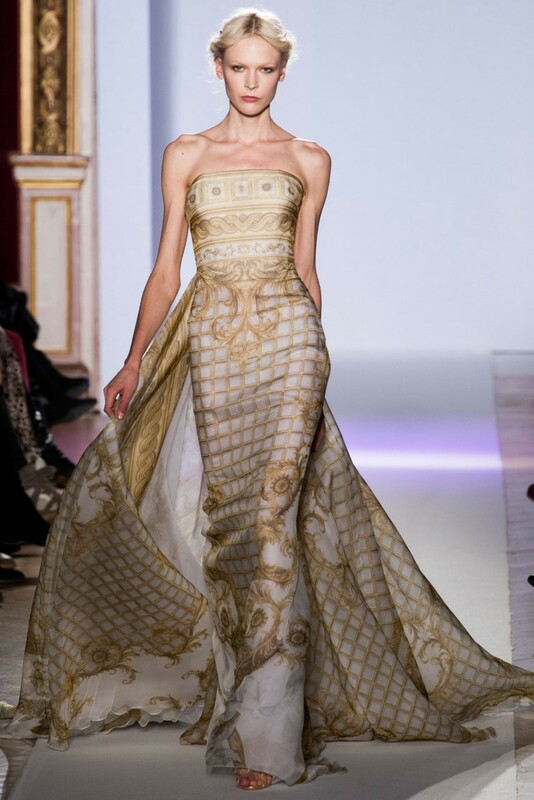 Such gowns are bound to appear on next month Academy Award’s red carpet.